"Great customer service during my entire stay." Have a question for Best Western PLUS Meridian Inn Suites Anaheim Orange? "Property is clean and breakfast was good." "Overall was a great choice for what we needed." "The complimentary breakfast was great our room was bigger th..."
Well-positioned in Orange, Best Western PLUS Meridian Inn Suites Anaheim Oran is the ideal point of departure for your excursions in Orange (CA). From here, guests can enjoy easy access to all that the lively city has to offer. Visitors to the hotel can take pleasure in touring the city's top attractions: The Outlets at Orange, Eikon Home, Tiddlywinks. The facilities and services provided by Best Western PLUS Meridian Inn Suites Anaheim Oran ensure a pleasant stay for guests. To name a few of the hotel's facilities, there are 24-hour front desk, facilities for disabled guests, Wi-Fi in public areas, car park, room service. 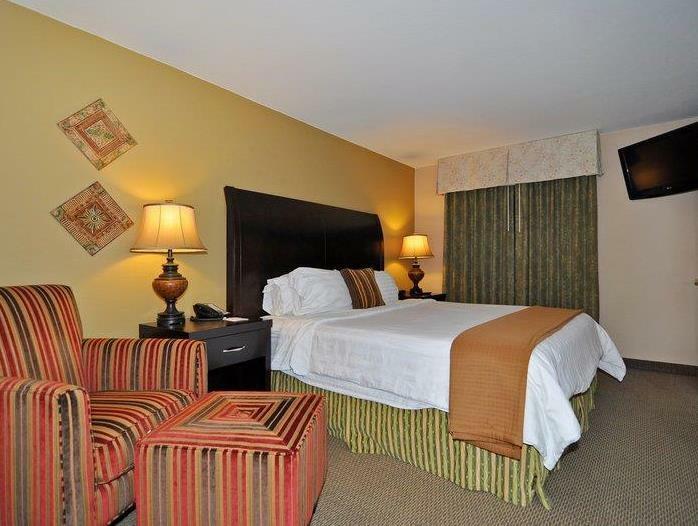 The ambiance of Best Western PLUS Meridian Inn Suites Anaheim Oran is reflected in every guestroom. television LCD/plasma screen, non smoking rooms, air conditioning, wake-up service, desk are just some of the facilities that can be found throughout the property. The hotel offers wonderful recreational facilities such as fitness center, sauna, outdoor pool, indoor pool, spa to make your stay truly unforgettable. 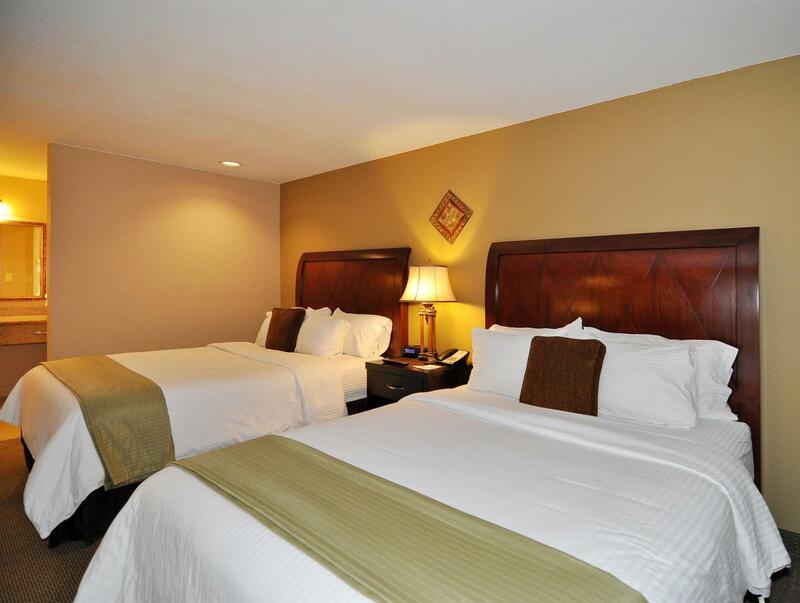 Whatever your reason for visiting Orange (CA), the Best Western PLUS Meridian Inn Suites Anaheim Oran is the perfect venue for an exhilarating and exciting break away. My Go to Hotel when i visit Orange County.. i have been staying here for the past 7 years.. updated rooms. I love the 1 bedroom apartments. Tv's in both living and bedroom.. Great shower and lots of room.. What i do love about this hotel is the location right next door to the Outlets of Orange. Great restaurants and shopping. This Hotel is on the junction of the 22 and 5 and 57 Freeways.. I will return again..
We stayed Friday to Sunday. The complimentary breakfast was great our room was bigger than expected which was nice. I have only 4 stars for cleanliness because of the peeling paint in the bathroom, and the loose toilet seat. The main elevator was down so we had to use the service one which wasnt an inconvenience. overall was a great choice for what we needed. will definitely consider using again if we need to! Very helpful staff. Breakfast served was great but I would suggest they rearrange the flow of the breakfast because in the mornings it is quite hectic. Pool was nice and cool but was salty so I can only assume it's a salt water pool! The VIP King Suite was perfect for our family of 5 however beware it does not have a sleeper sofa so request a rollaway bed if need be. About 10 minutes away from Disneyland and the Convention Center and right down the street from the Orange Outlet. Also having only one washer and one dryer made it a bit inconvenient o wash clothes on site however there are tons of laundromats near the hotel. I would recommend to others but would suggest calling and making absolutely sure the room you are booking has the correct number of beds. Terrible breakfast, Lousy attitude (your there for them & your money), front desk lagshift guy rude, dumb, lamebrain, and skimpy housekeeping. Mostly awful foreign tourists stay there. 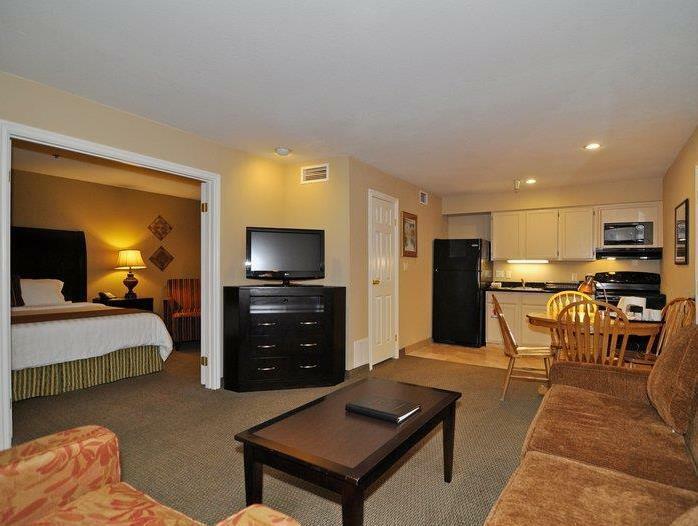 Nice locality nearby shopping mall & suite is only best part of western accommodations. It's good for a few nights for around town. Had a pleasant stay. This hotel was well kept, inviting, visually energizing, and provided a great stay overall. Price was fair, and breakfast was typical for a hotel -- still fine, and appreciated. Close to entertainment, walking distance, or cheap Uber/Lyft/taxi/etc. when I travel for business I spend more time at the hotel then when I vacation. On this trip I wanted a hot tub, quiet, breakfast, clean, and a comfortable bed. This hotel provided all that plus. The grounds were landscaped with a slight tropical feel. The hotel was square/rectangular shaped with a central courtyard. Fountain splashes, pool, hot tub, and music at the perfect volume wafted through the air. Enclosed hallways to the exterior facing rooms half enclosed with glass. some panes were fully closed allowing fresh air to circulate. Honestly I could live there. The room was very clean. The paint was fresh and well done. The configuration was a suite with a table, couch, chair, sink, microwave, and small refrigerator. The two queen beds were in a second room with a closet and bathroom. Double doors open between the rooms to make it feel huge or close off for some privacy. A TV in each room. Very energy efficient with a key card required to control air and some lights. Staff at front desk was awful. Totally oblivious of customers. Way too much personal stuff going on and not professional at all. "Their" music being played too loud. This is a business afterall. Was too busy interacting amoungst themselves to give good service to customers. Food was very disappointing. No change for the weekend. No one wiping the tables down. Someone even preparing the food stood in the doorway and wiped his brow with a rag and then continued to move things around in the food area. Yuck! We stopped eating there after that. My room was very nice, clean and quiet. Breakfast was good.....scrambled eggs, sausage, waffles, yogurt, fruit, pastries, breads, juice, coffee etc. Pool area looked neatly kept. Only negative was when I arrived the desk clerk was on the phone taking a reservation which took about 20 minutes and did not acknowledge me at all as I stood there waiting. He did thank me for waiting once he was off and was courteous and professional but an acknowledgement would have been nice, especially because the wait was so long. The service had been wonderful. Every person we encountered was so nice & professional. We mentioned the heater didn't work & got upgraded to a king suite! We found out later it was just user error on our end but they were kind enough to let us stay in the suite anyway. The Egyptian gentleman, possibly the hotel manager, assists with the hot breakfast in the morning. He was very kind. I saw him help direct people in how to find utensils, operate the waffle iron, & the hot water dispenser. The hot food was very appreciated. They had waffles, eggs, sausage, pastries, oatmeal, yogurt, juices, and coffee. The house cleaning was quick & efficient. The front desk was amazing, especially Leah! We saw maintenance touching up paint, which showed us they care about upkeep. The pool & hot tub works. There's mending kits. The location is a little out of the way, but that was great because it was a quiet hotel. Parking was free. We definitely recommend people stay at this location! Great service. Room was a spacious 1 bedroom. Bed was super comfy. Sleeper couch perfect for the kids. Continental breakfast was filling. The smaller than standard size pillows could have been better. Other than that, would definitely stay here again. When we booked through Agoda, there was no mention about the resort fee of USD11 per night. We were charged at the point of checking in. Would have appreciate it if this information was provided at the point of booking. It is an average hotel with breakfast. Not a bad choice but be mindful of the resort fee. I was very upset I had to pay a resort fee. 2 rooms 2 nights . Nothing in the small print or anywhere told us we needed to pat that fee. We saved for our disneyland trip for a year .so keeping our budget was a priority. We booked this hotel for Disneyland. It's about ten minutes drive to Anaheim and I think the room is good value for money. Our package include free breakfast and it was ok:) I will go back to the hotel again when visiting Disneyland again. I've stayed at this property once before earlier this year. At that time I was on the second floor and had no issues in a standard room. This time it was Summer and I stayed on the first floor in a suite. While everything looked new and clean, I did spot a cockroach which I had to kill. Later fruit flies were a bother near the sink as well. I also initaly asked the front desk for a late check out and the employee that night seemed to not how to make that happen and after telling me I needed to give him cash for it, I questioned why my card on file wouldn't work. He gave up and told me to call the manager in the morning and ask him. It was really off putting and I felt like I was a hassle for the night rep. My last visit was nice and the property is clean and new feeling. This time just hit all the wrong marks and I was disappointed.